This recipe belongs to my mom and she makes this whenever her hands are tied with some other major work.It is such a simple dish but it taste awesomely beyond the world ,finger -lickingly-good. This last sunday I made this since I din't have plenty of time to finish up our dinner .. This is such a super saver when u don't wanna spend more time in kitchen moving around..
Green chilly -- 5 to 6 nos. Cardamom,Cloves,Cinnamon -- each 2 nos. Pressure cook the mutton along with ginger garlic paste and adding half the salt,one cup of water for 7 to 8 minutes to almost 90 % depending upon how tender ur meat is. Once it's almost cooked,Transfer this to a bowl and reserve the soup. In the cooker, add the oil and do the seasoning with cinnamon,cloves n cardamom. After that add the onion and fry until it's translucent. Now dump in the ginger garlic paste and fry till the raw smell goes. Add the green chillies ,mint leaves,coriander leaves as well and saute. Now dump in the cooked mutton pieces and saute it with the masala. Throw in the coriander powder and the required salt and combine well. 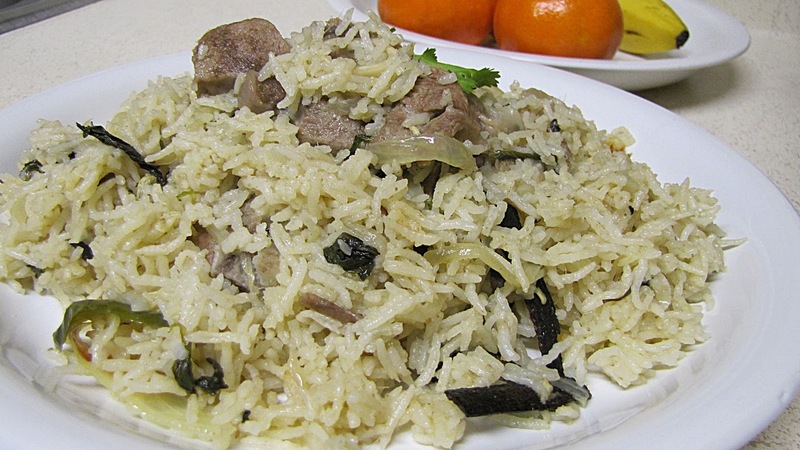 stir this for 2 to 3 minutes.Soak the basmati rice for 10 minutes. 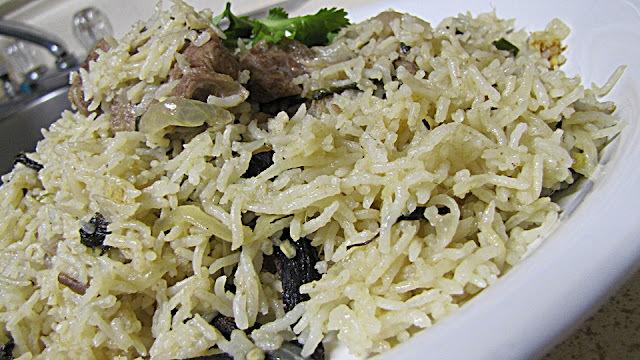 Clean and add the rice along with the mutton and fry for 2 to 3 minutes on the slow flame. Now pour the coconut milk and the reserved one cup of soup and mix it well. Check for the salt and cook for exactly 4 to 5 minutes. In terms of whistle,it will take 2 whistles to get a nice pulao.. Njoy it with raita..
Mutton white pulav looks delicious. Like the single grain of rice in them. Loved the recipe..looks absolutely delicious, will surely give this a try..drool worthy. Nice creation shanavi..likd d way you presented this fab pulav..